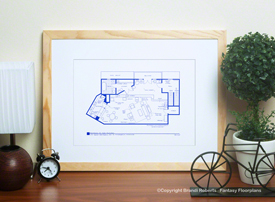 Buy a poster of The Waltons house floor plan! 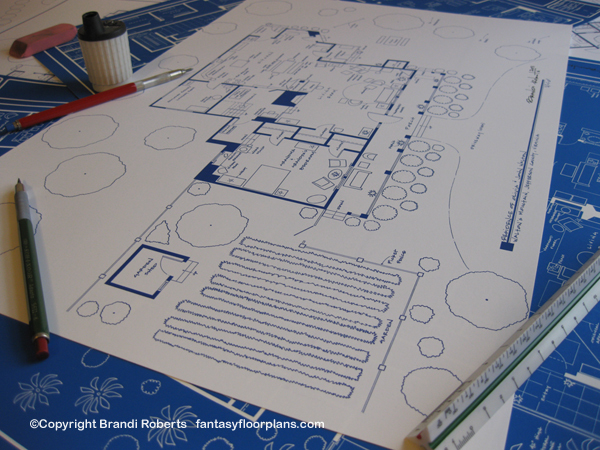 Looking at The Waltons house floor plan you can almost hear the crickets chirping and the screen door creaking. Smell that Blue Ridge Mountain air. John Walton and Olivia Walton's early American home features a downstairs bedroom for Ester and Zeb, a large eat-in kitchen and homey living room. Three porches provide space for washing clothes for all those children -- John Boy, Erin, Ben, Jim-Bob, Elizabeth, Mary-Ellen and Jason. In the yard, you'll find a large garden planted by Olivia also known as Liv. Can you smell the corn John planted? Times were simpler back then. The Great Depression made for rough times but this family stuck together through the good times and the bad. This my fictional first floor plan for The Waltons home. 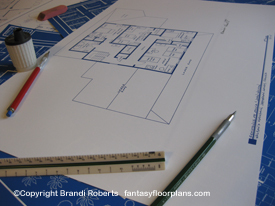 Pair it with my second floor and make it a complete set!